Lord Stirling EEC has numerous connecting and intersecting trails of varying lengths throughout the park limits. 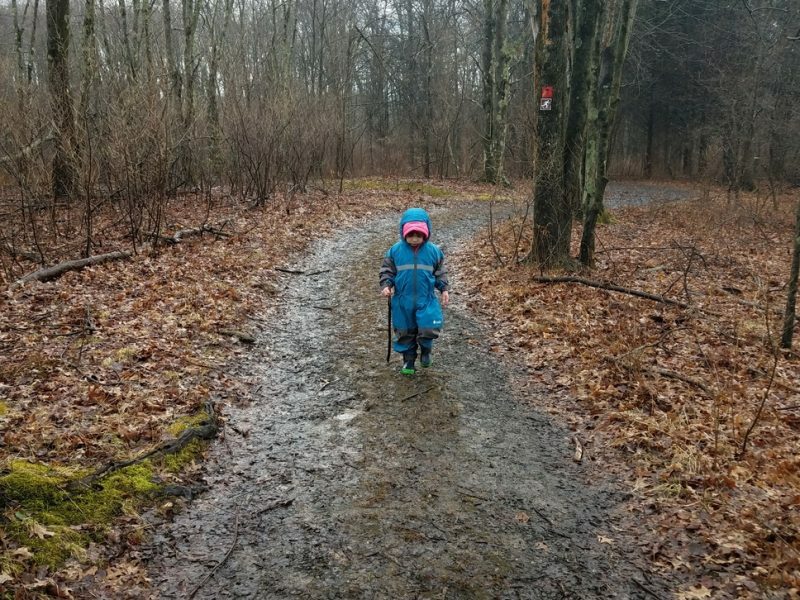 For example, you can walk the pond loop around the main pond, which is under a mile, or expand into the red, green, yellow, or blue trails to create a hike that is a couple miles long. 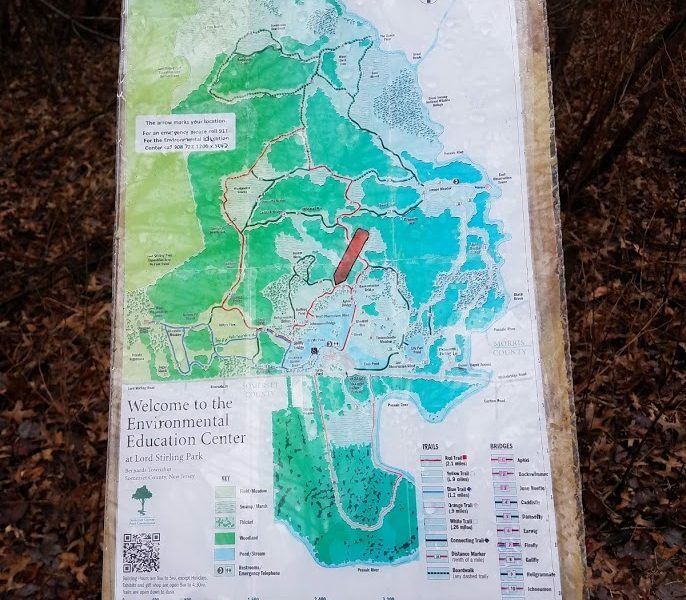 Every single intersection along the trail has a posted trail map that shows you where you are located and how long each section of the trail is. 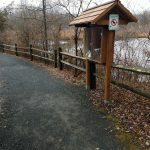 Most of the trails are dirt, but some sections are boardwalk over the swampy areas. The trails are very flat, wide, and easy to walk. 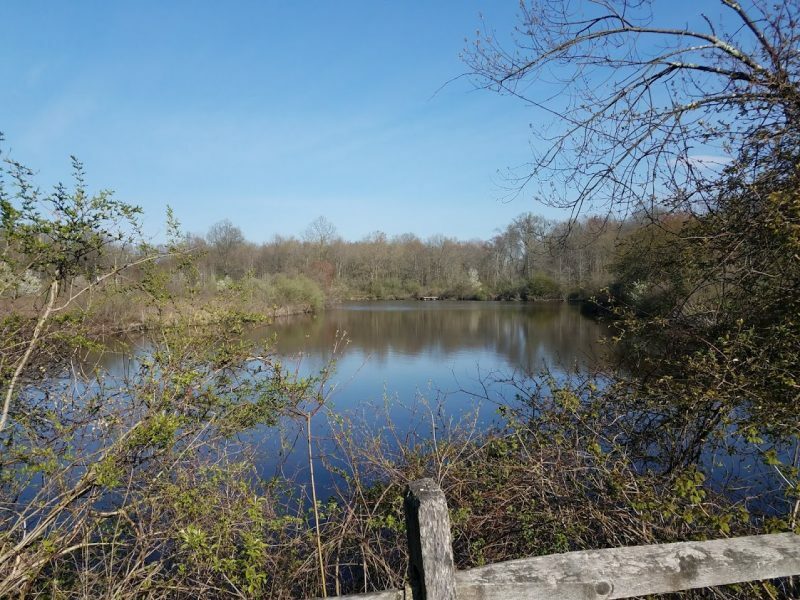 There is a large pond in the middle of the park that the trails pass by, and a few smaller ponds along other trails. 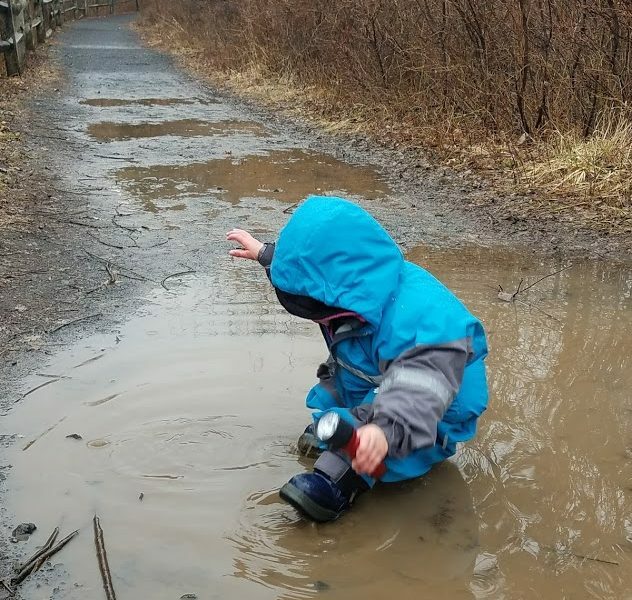 The park is located within The Great Swamp National Wildlife Refuge, so trail conditions are often muddy. About a quarter mile up the road from the EEC parking lot, you can also visit the Raptor Trust, which is a bird sanctuary for many species of hawks, eagles, owls, and falcons. In the winter, the trails are available for cross-country snow skiing. The EEC also offers guided hikes multiple times per year through the park. 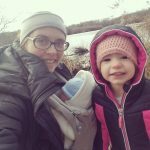 After a hike, be sure to check out the Environmental Education Center (EEC) inside! They have a very interesting nature center in the basement of the building that is excellent for young kids. 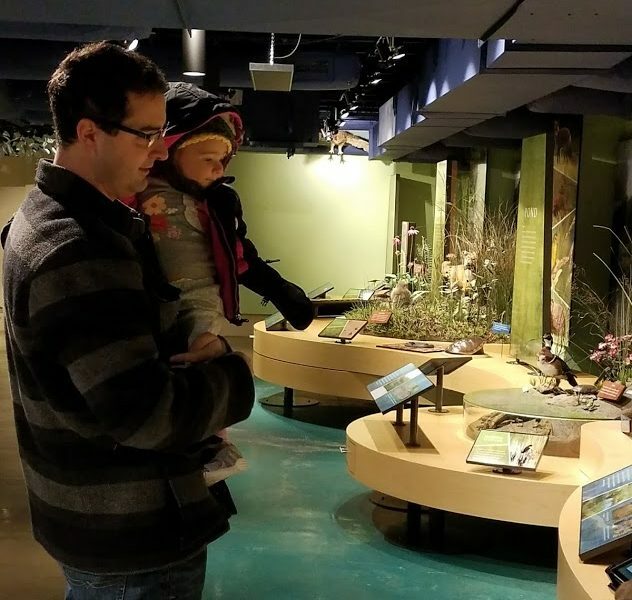 The visitor’s center has a fantastic nature room in the basement. 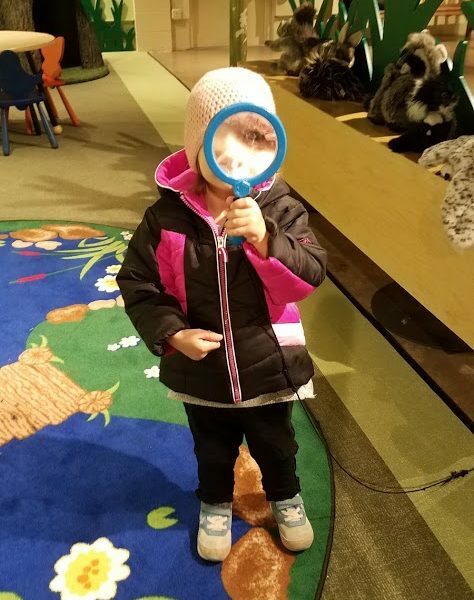 The nature room has lots of exhibits and nature-themed toys for children to view and play. Up the road from the EEC is the Raptor Trust, a sanctuary for birds. The sanctuary houses numerous types of owls, hawks, and eagles that you can see. Large parking lot in front of the visitor center.